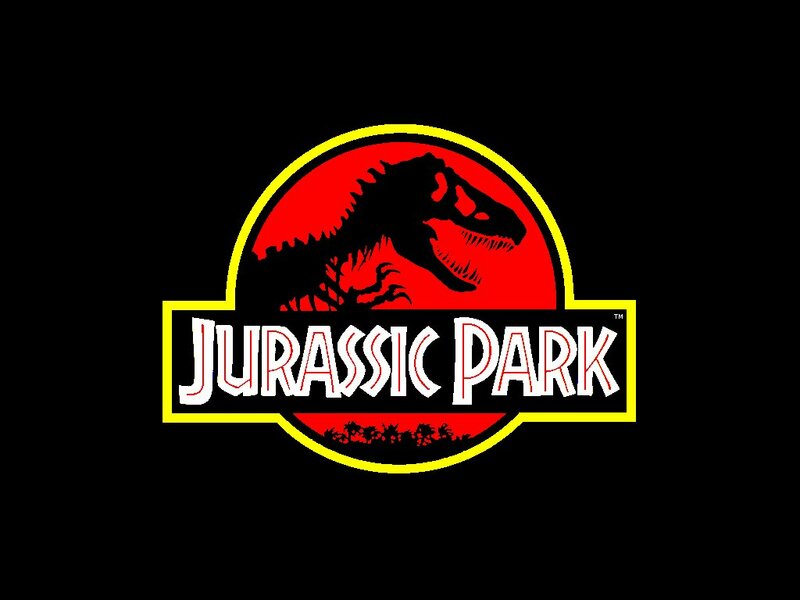 Cue the John Williams music, Jurassic Park is making a comeback, but not in theaters. Last June, Telltale Games, developer of the Sam & Max and Tales of Monkey Island adventure games, inked a deal with NBC Universal for the rights to create two games based on the Back to the Future franchise and Jurassic Park franchise. The first episode of a five episode Back to the Future season was released last December, with the next episode coming in February. 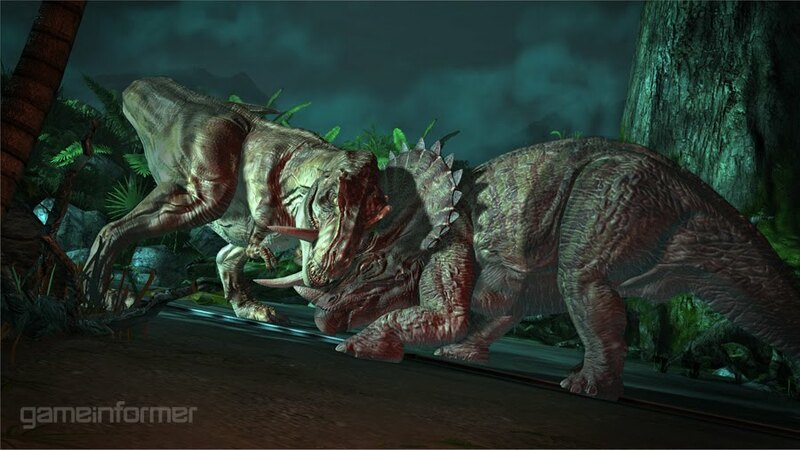 Today Game Informer published exclusive first look for the upcoming Jurassic Park game. The first thing to notice is the screenshots. Normally Telltale games are made with a cartoonish flare, a stylized look that makes the puzzles and gameplay fit into the atmosphere of the game. Jurassic Park, however, seems to move away from the stylized look and goes for more of a realistic approach. Speaking with Game Informer, Telltale says that it recognizes that while dinosaurs are the main draw, the heart of the narrative in the Jurassic Park series has always been about humankind. Bringing the best and worst out in people, whether that’s putting your own life on the line or sacrificing others for gain, is what happens when people are pushed to their limit. 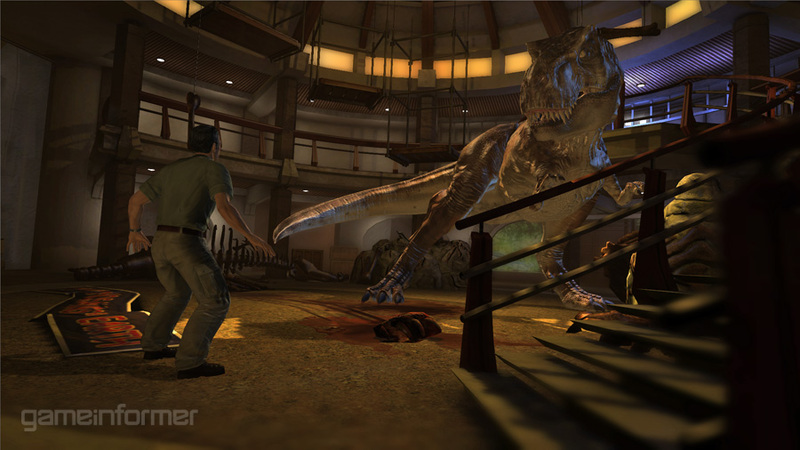 It is Telltale’s hope that players become emotionally invested with the human element before any dinosaurs jump onto the screen. 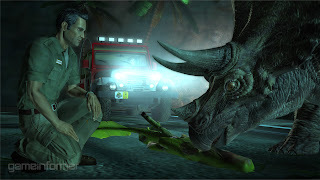 But Telltale isn’t trying to retell the story of Jurassic Park. They are adding to the lore, designing the game as a direct sequel to the first movie, following plot points that weren’t explored first film and never surfaced again in two sequels. For example, what ever happened to that Barbasol can filled with embryos that Dennis Nedry lost in the jungle? This means however you won’t get to interact with any of the main characters from the films like Dr. Ian Malcolm, Dr. Alan Grant, or Ellie Sattler, though these characters are referenced. One character who you will meet is Gerry Harding, the chief veterinarian from the first film, as well as his daughter. It’s likely you’ll also run into others looking for the can of dinosaur embryos, whether they are scientists, smugglers, or mercenaries. Telltale may be the king of adventure game, but they keep looking to Quantic Dreams’ Heavy Rain for inspiration both in terms of story and gameplay. “While our story is more linear than Heavy Rain, actions the player takes are reflected in the way the story is told,” Boyle said. “The choices the players make result in changes to the details of the story. Players will know we are paying attention to the decisions they make.” He goes onto say that Telltale is approaching the task with “more focus on cinematic presentation of your interactions,” meaning that gameplay will generally be slower-paced and ramp up as the dinosaurs start looking for a snack. 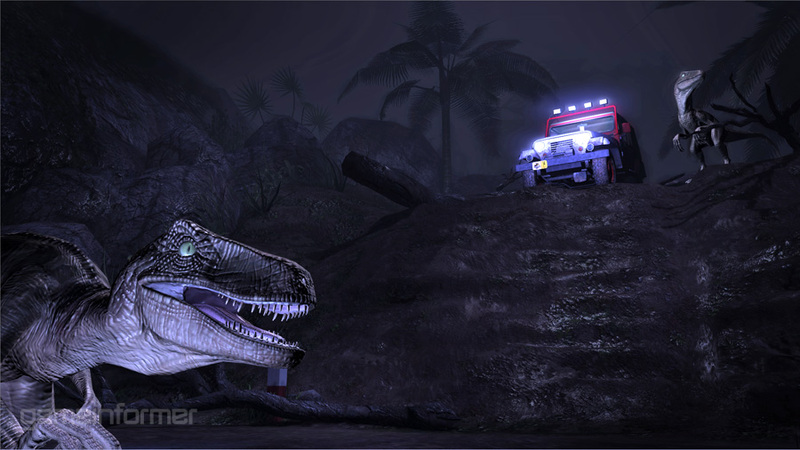 Jurassic Park will be released sometime in 2011 for the PC, Mac, and consoles.